One of the leaders of the attack was an Australian woman that Resistance Capt. Henri Tardivat called "the most feminine woman I know." 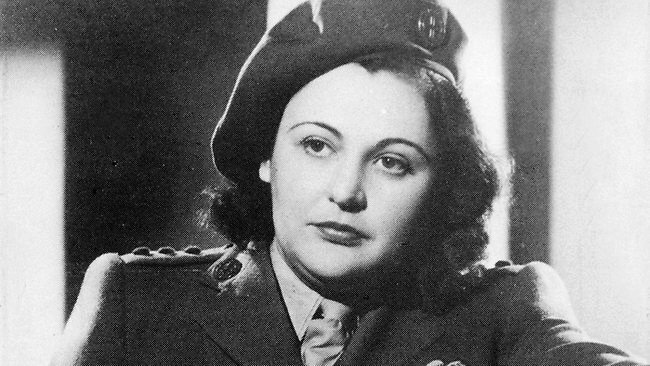 Her name was Nancy Wake. But as she and her men approached the factory that night, there was a problem. A sentry spotted them. Wake sprang at him just as he was about to shout a warning, clamped a forearm beneath his jaw, and snapped his head back. The man's body slipped quietly to the ground. "She is the most feminine woman I know," Tardivat added, "but when the fighting starts, "then she is like five men." Wake had a bounty of 5 million Francs on her head. From April 1944 until the liberation of Paris the following August, Wake served as a top British agent in German-occupied France. She personally led attacks on German installations, including the local Gestapo headquarters in Montluçon, sabotaged bridges and trains, and once during a German attack took command of a section whose leader had been killed and directed suppressive fire as the group withdrew. Her courage was never questioned, and "her brain worked with the speed and smoothness of skates on ice," as Australian Russell Braddon wrote about her. 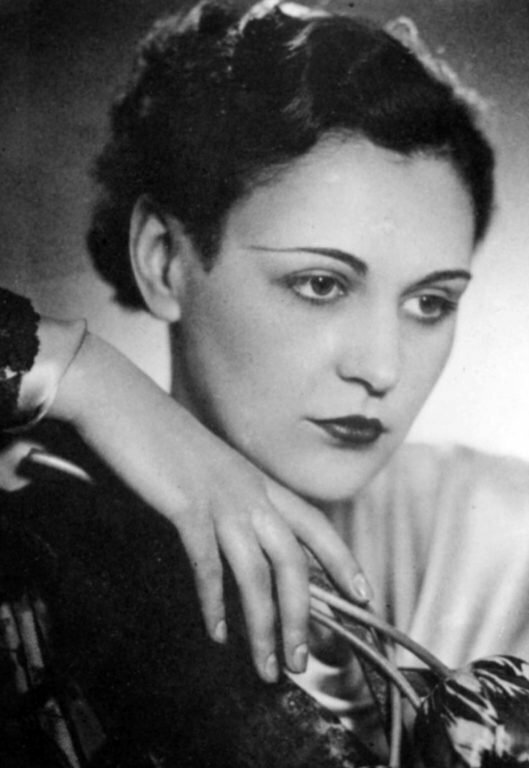 Born in New Zealand and raised in Australia, when the war broke out in 1939, Wake found herself in Marseille married to French industrialist Henri Fiocca, a wealthy, fashionable, and one account says "frivolous" Society woman. But the frivolity ended when she met and befriended captured British officers kept prisoner in the city and eventually began helping them escape to Spain. She also began working as a courier for the Resistance. The Gestapo, aware of her presence but not her identity, dubbed her the "White Mouse" for her ability to slip away and avoid detection. In 1943, her luck ran out. She was arrested in a street sweep in Toulouse, interrogated, and beaten but not identified, and the Resistance was able to free her after four days. She escaped France, leaving Henri behind, first by leaping from the windows of a train, then hiding among bags of coal in the back of a truck, and finally in a forty-seven-hour trek through the mountains. She made it to England where she volunteered for the Special Operations Executive. 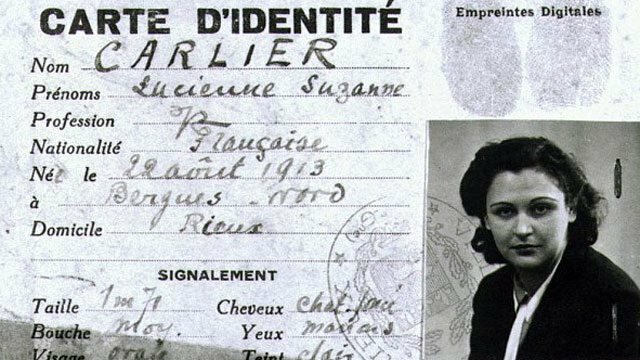 In April 1944, after training, she parachuted back into occupied France to serve with the Resistance fighters in the Auverge region of southcentral France, where a force of almost 8,000 men headed by Tardivat was hiding in the forests and raiding German facilities. On her person were a million francs for the Resistance groups and plans for their part in the upcoming D-Day invasion. For the jump, she wore silk stockings beneath her coveralls. Wake before the Second World War. Wake lived and worked with the Resistance group for the next seventeen months, overseeing all British parachute drops, channeling Allied funds to the Resistance, and battling the 22,000 German fighting men in the area. She also served a command function with the Resistance and took part in raids, at one point just escaping death when the car she was riding in was strafed by a German fighter. At another, she travelled 500 km, through mountainous terrain and German-held territory, to report a destroyed radio and code books. "When I got off that damned bike… I couldn't stand up. I couldn't sit down, I couldn't walk. When I'm asked what I'm most proud of doing during the war, I say: 'The bike ride'," she later said. When France was finally liberated, Wake learned her husband Henri had been captured, tortured, and killed by the Gestapo and that his (and her) wealth was gone. In the years after the war, she held several British intelligence positions, got remarried, and lived to age 98. She died in 2011 requesting that her ashes be spread over the mountains where she had fought. "That will be good enough for me," she said. 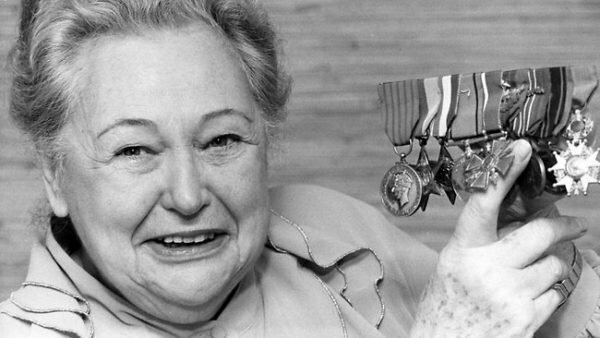 Nancy Wake survived the war and lived until 2011. Among the decorations Wake received for were the George Medal, 1939–45 Star, France and Germany Star, Defense Medal, British War Medal 1939–45, French Chevalier of the Legion of Honour, French Croix de Guerre with Star and two Palms, the US Medal for Freedom with Palm, and the French Medaille de la Resistance. She was very likely the most decorated woman of the war.